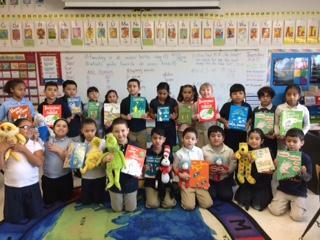 Read Across America Day was celebrated yesterday signifying Dr. Seuss’ birthday. Students all across DPSCD honored the great author in many ways. 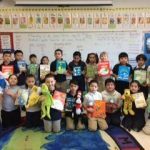 Munger’s second grade class celebrated Read Across America Day by bringing in their Dr. Seuss character stuffed animals and taking turns reading. Kindergarten classes at Coleman A. Young ate green eggs and ham while reading Green Eggs and Ham. Students in grades 3 and 4 watched Dr. Seuss movies and compared them to the books while 5th grade classes made wacky socks after reading Fox in Socks! We are celebrating Reading Awareness Month in March! This entry was posted in Featured School, News and Press Releases and tagged 224, 393.